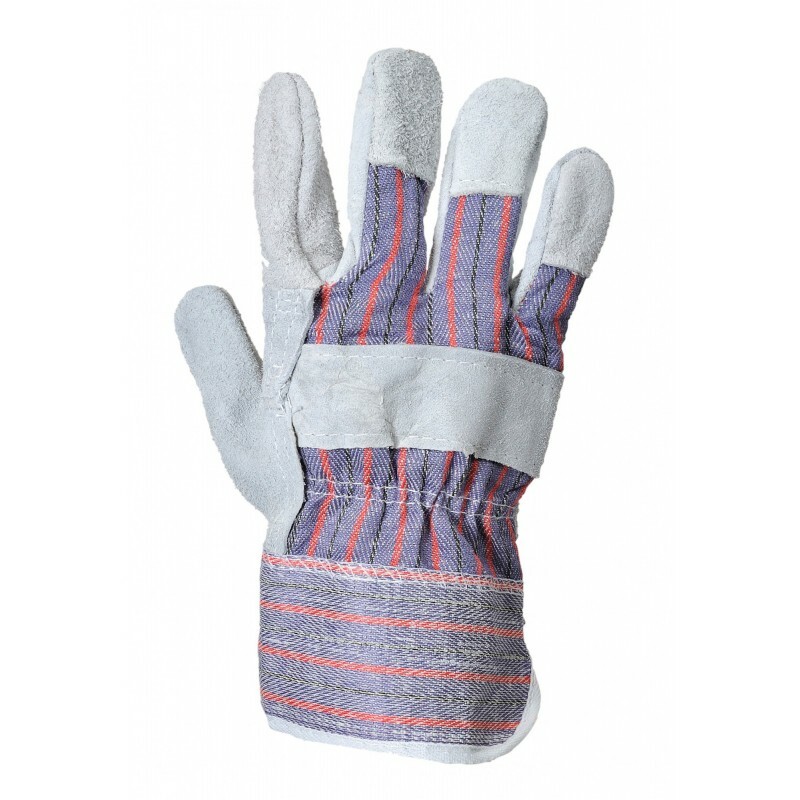 Cow split leather rigger glove with patch palm and vein protection. Cotton backing increases comfort and ventilation. Dimensions are 17" x 12" x 22"